JC Penney: $10 off $25 Coupon Valid Fri July 29th and Sat July 30th ONLY! Here is a coupon that is great for back to school shopping, shopping for a fall wardrobe, shoes, housewares and more! Get $10 off your purchase of $25 or more or 10% off mattresses or furniture purchases with THIS COUPON. 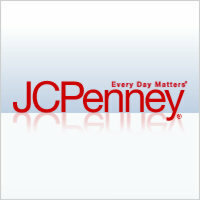 Head over to www.jcpenney.com to check out the two day sales and doorbuster deals! I think I am going to try to take advantage of this deal for new sneakers for my son.